Introduction and Inaugural Ceremony. 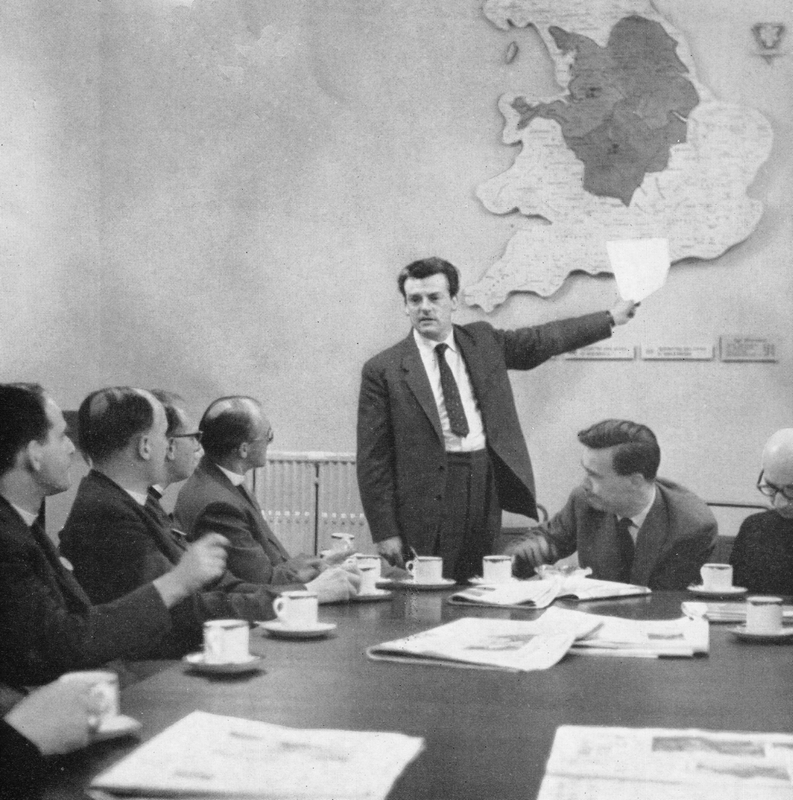 Lectures followed by questions on the Television Audience, Advertising on Television, BBC Programme Policy, Religious Television to Date, Television and Youth. Lectures and discussions on lighting, sound, design, camera techniques and drama, practical session on planning programmes with the course divided into two teams. 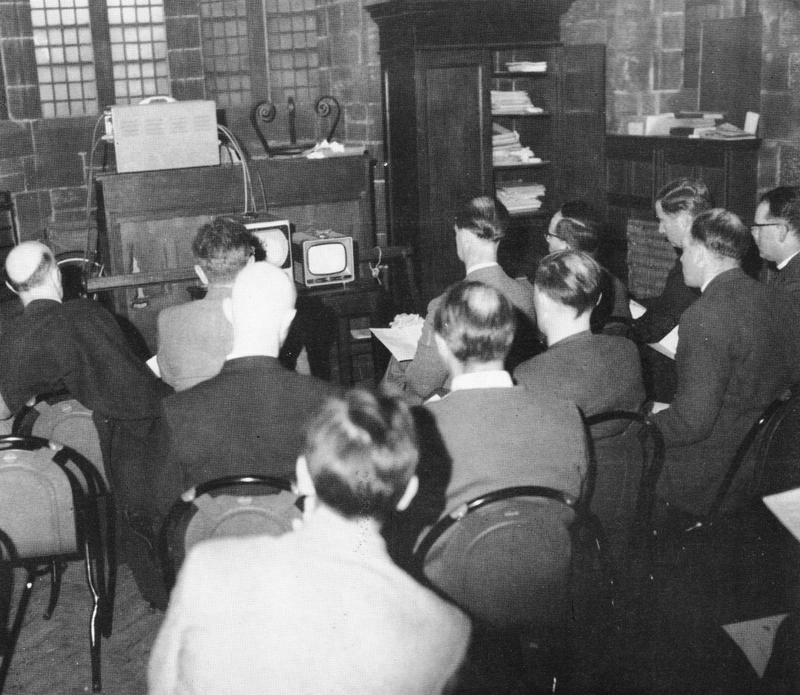 Practical session on planning a closed circuit programme, discussion on the planning of Sunday’s Outside Broadcast of a Church Service, lecture and discussion on the Press and Television. 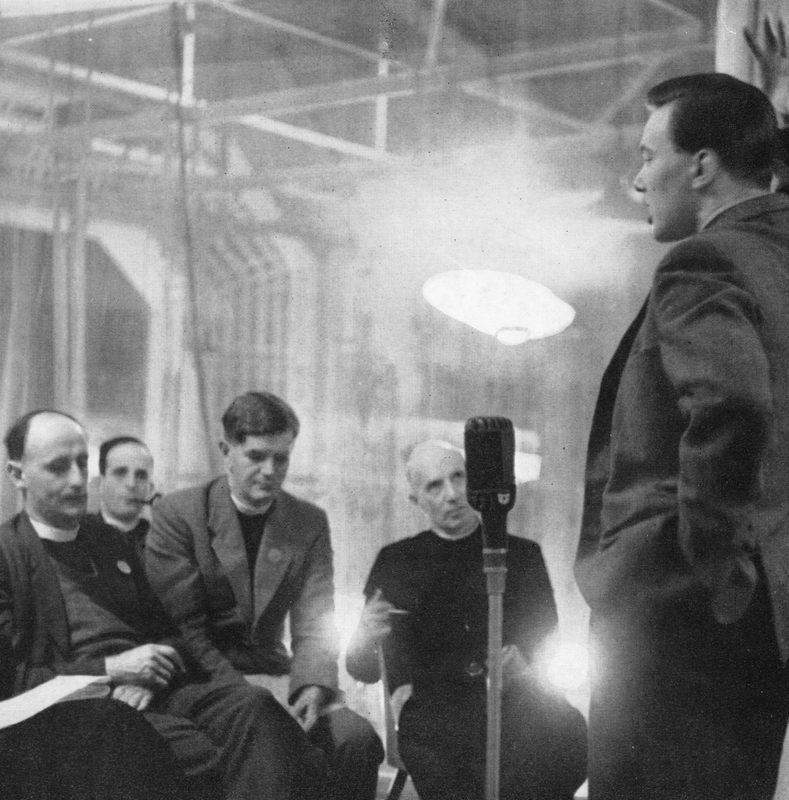 The course attended an Outside Broadcast of a service, rehearsals for closed circuit programme, viewing of ‘The Sunday Break’ and ‘About Religion’, recapitulation. Production of closed circuit programme prepared by team of members of the course followed by discussion, production of second closed circuit programme and discussion. Course ended with an Open Forum. 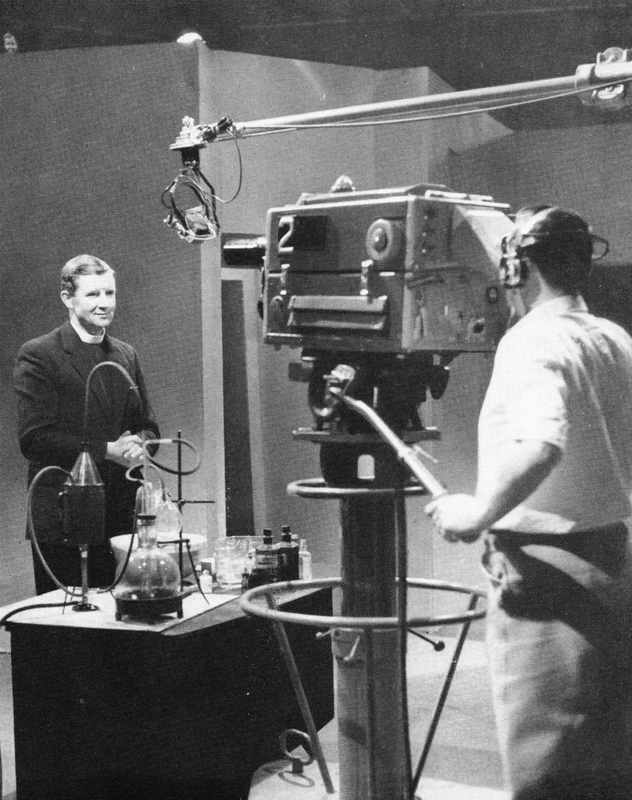 Tom Singleton, ABC‘s producer of religious programmes, explains the structure of Independent Television. 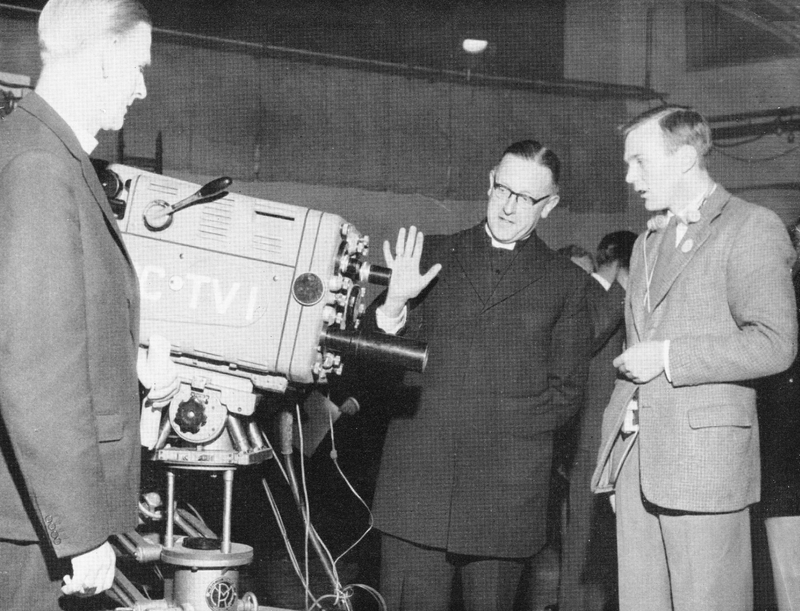 A television camera is explained to the Bishop of Manchester (left) and the Roman Catholic Bishop of Salford. ABC producer, S.E. Reynolds, explains camera techniques. 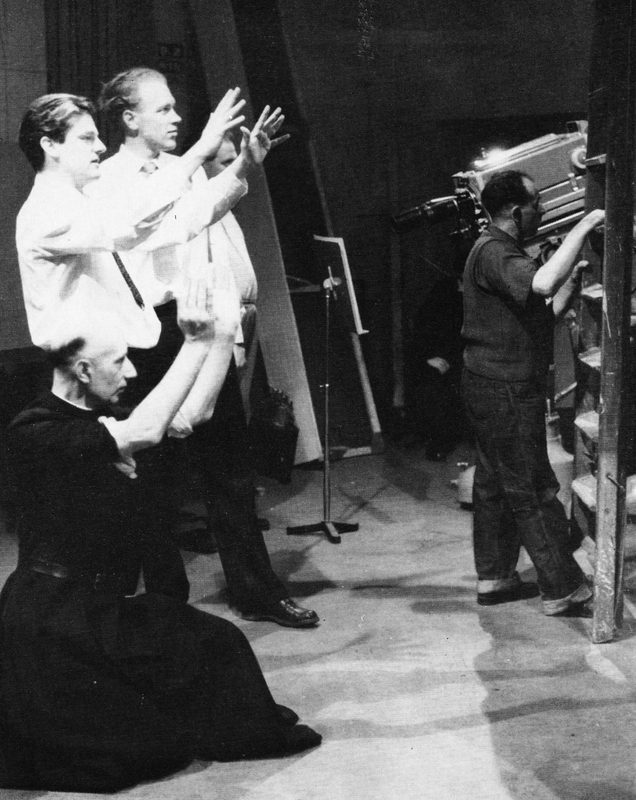 ABC‘s lighting supervisor explains the contribution made by skilful use of lights to a television picture. 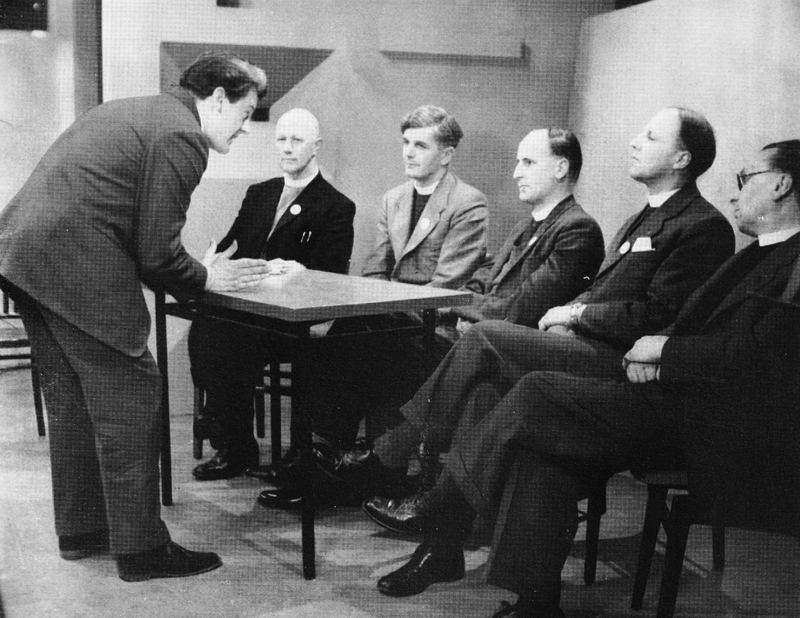 A discussion panel is briefed before a ‘dummy run’ of a programme. 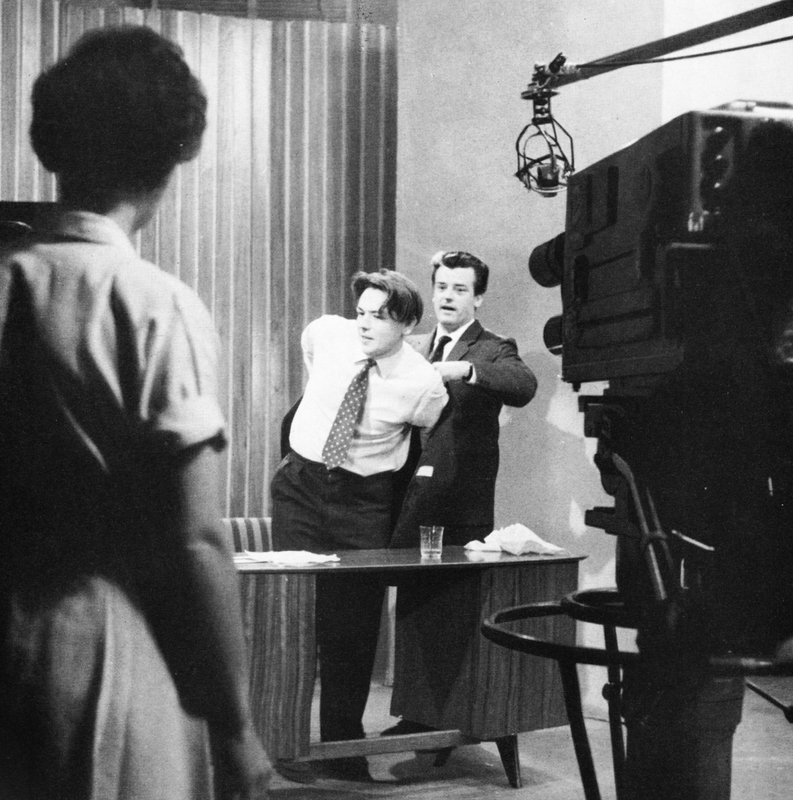 ‘The Horrible Example’: the wrong clothes, hunched shoulders, matters of personal appearance can make or mar a television programme. This Course was shown some of the mistakes that can occur. 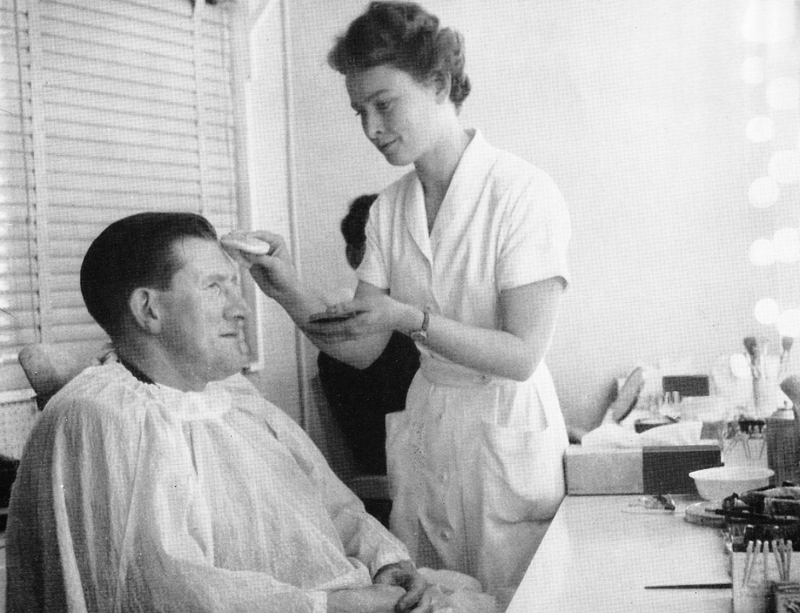 Make-up for television was dealt with in the course. 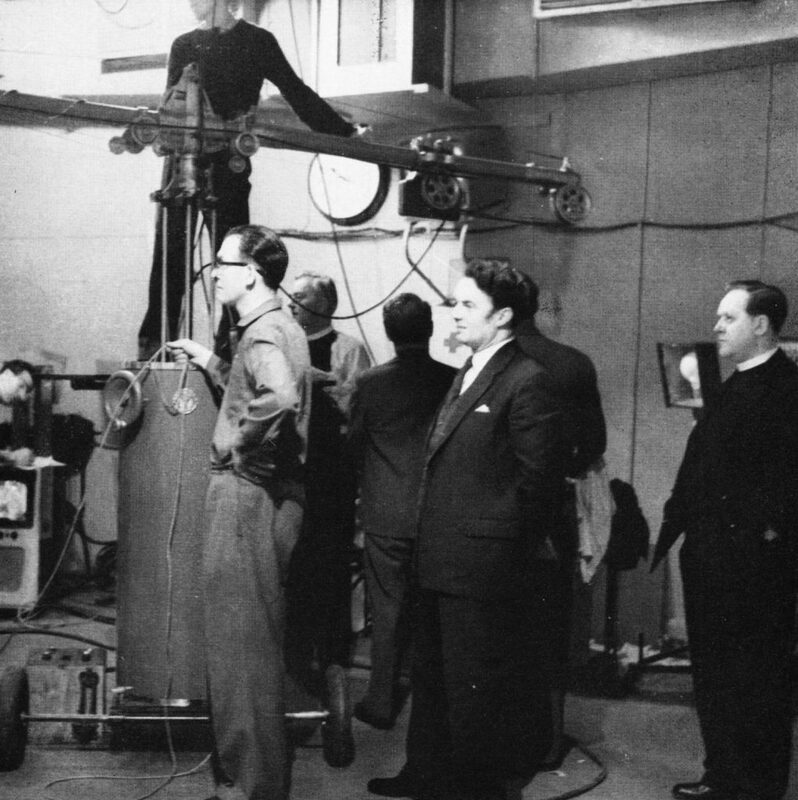 Behind the scenes as a programme is produced. 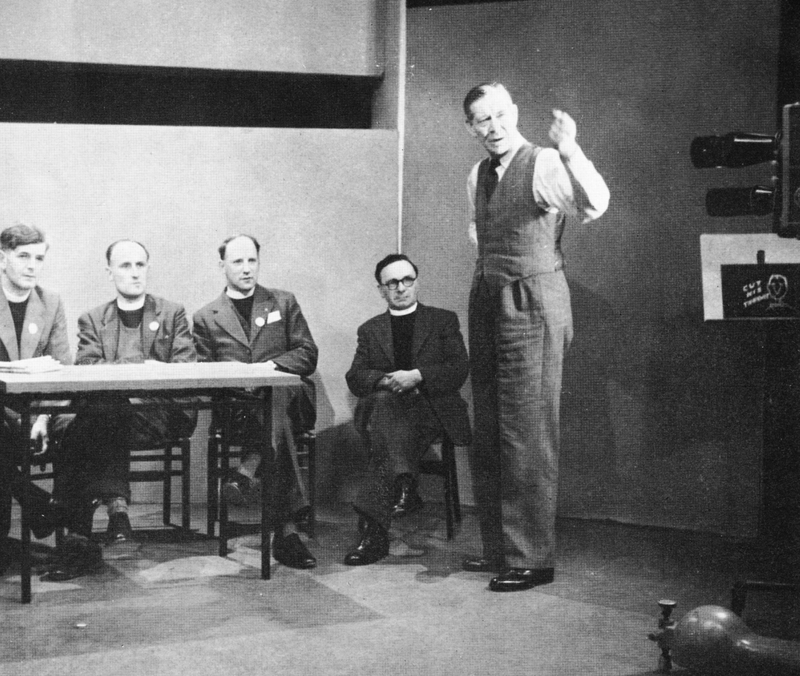 The Rev John Gardiner takes part in a religious programme devised and produced by those on the course. Rehearsals in progress for the dummy programme which was produced by those taking part in the course. 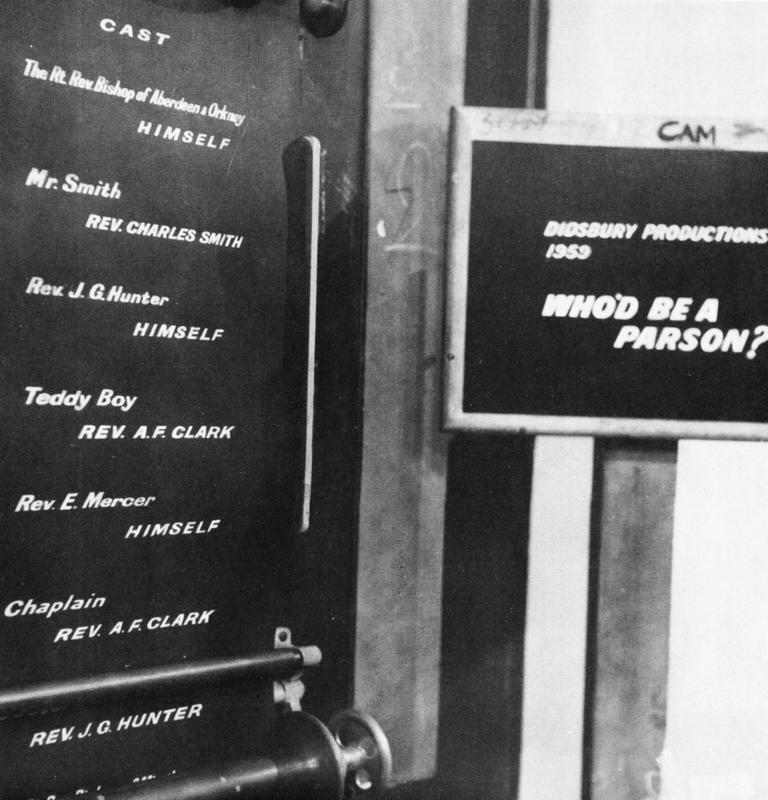 Captions on roller caption machine for a closed circuit programme produced by members of the course. 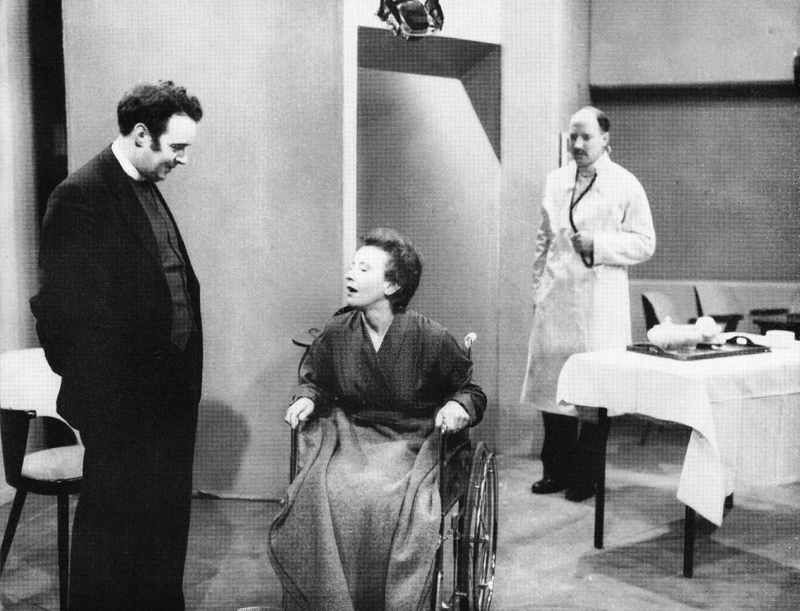 A scene from ‘Who’d Be A Parson’, produced by members of the course.